The GC1140 Fully Insulated Attic Air Inlet is a patented 360 degree airflow poultry gravity ceiling inlet. The GC1140 Attic Inlet's 360 degree radius corner design increases fuel savings, air distribution, and air mixing. Drier litter conditions and less humidity are also benefits of the GC1140. From ease of installation to its excellent performance, the GC1140 Fully Insulated Gravity Inlet has proven to be an exceptional poultry inlet for poultry grower ventilation. Air enters the inlet from the attic and when the inlet is open, air is evenly distributed in all directions into the poultry house. The larger bottom lid directs airflow from the attic inlet along the ceiling instead of falling directly on the chickens or turkeys. 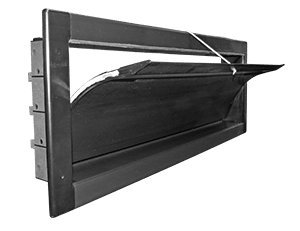 The GC1140 Gravity Inlet gently mixes warm and fresh air without creating a down draft, resulting in more uniform house temperatures throughout the animal room. Thus, growers are able to maintain higher ventilation rates during cold weather without sacrificing house temperatures or wasting fuel. 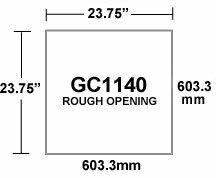 Designed for cold climates, the GC1140 Gravity Inlet has a fully insulated housing that reduces heat loss and freeze-up. The housing is made of four point pivot reactive injection molding (RIM) as well as heavy-duty PVC and stainless steel components. With the tightest seal on the market, there is no air leakage when the air inlet is closed and minimal moisture build-up. 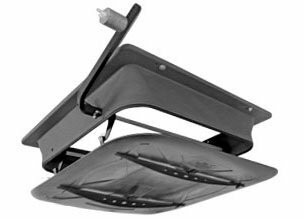 The removable bottom lid makes the counterweight ceiling inlet easy to clean and install. It is easy to remove and reattach bottom lid with attachable straps. The adjustable counterweight allows the GC1140 Inlet to open at different static pressures. The GC1140 Gravity Vent has no blades to break, fall out, or get stuck open or closed. The GC1140 Air Inlet has been BESS Lab Tested for accurate performance. When fresh air is needed in the poultry house, the vent machine will release tension from the ceiling air vent. Once a static pressure of .06 is achieved, the ceiling inlets will open, bringing fresh air into the room. 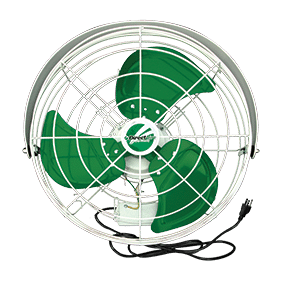 When fans shut off, the attic inlets will immediately close. The vent machine will then pull tension against the attic inlet, ensuring a tight seal and eliminating hot air from entering the attic. Video Clip showing step by step how to easily install the GC1140 Gravity Attic Inlet in a poultry house.